The Effingham County Sheriff’s Office has watched over and served the people of Effingham County since 1833, through times of peace and times of war, through economic prosperity and economic depression, through compassionate times and through times when man’s inhumanity to his fellow man has made the job of protecting the people an awesome and forbidding task. 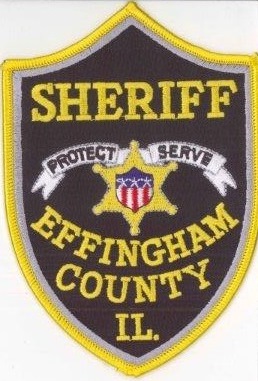 The Office of Effingham County Sheriff will provide professional law enforcement to the citizens and visitors of Effingham County, by upholding the Constitution of the United States of America and the State of Illinois. We will strive to serve our community with a highly motivated, professional, and compassionate staff. We will hold ourselves to the highest standards of conduct and ethics as we regard it an honor to hold the public trust. Our Office will provide a safe environment by enforcing the laws of our government and preserving the peace of our citizens with Integrity, Service and Professionalism. In 2010, the population of Effingham County was reported as 34,242 residents, with the largest concentration in Effingham, Teutopolis, Altamont, and the Lake Sara area. There are 10 incorporated cities and villages, and the county is divided into 15 townships. Effingham County covers 482 square miles and is located in the southeast part of the State of Illinois. Within Effingham County, there are approximately 972 miles of roadways, including 51 miles of interstate, 71 miles of state highways, 148 miles of county roads, and 702 miles of township roads. Highways and interstates serving Effingham County are State Routes 33 and 40, running east and west; State Routes 32, 37 and 45, running north and south; Interstate 57 running north and south, and Interstate 70 running east and west. The Effingham County Sheriff’s Office is the primary Law Enforcement agency responding to calls for service throughout the County. Effingham City and Altamont have a 24 hour police force and the City of Teutopolis has a part time force. The Sheriff’s Office patrols and handles all crashes which occur on the 850 miles of rural roadways and most of the crashes along the 71 miles of State Highways. They are assisted by the Illinois State Police on State Highways and Troopers handle most calls and crashes on the Interstates.